Disney’s Rapunzel comes to the stage — just for cruisers! Fairy-tale twists and thrilling adventure take the spotlight with Disney Cruise Line’s newest at-sea stage presentation, Tangled: The Musical. Adapted from the 2010 animated film about Rapunzel, this tale of empowerment and romance features brand-new songs, dazzling sets and effects, and mystical long blonde locks that would rival the ship’s mooring lines. 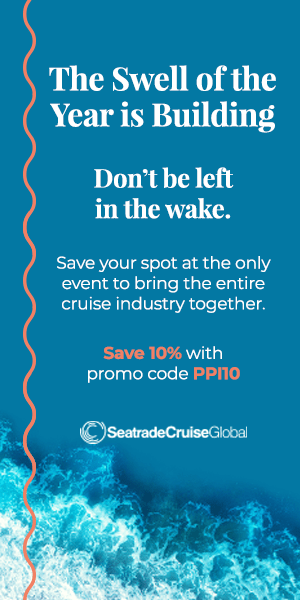 Officially debuting November 14 during Disney Magic’s 4-night Bahamas sailing, the show will be presented exclusively on that ship in the 977-seat Walt Disney Theatre during each cruise. “Tangled: The Musical” follows Rapunzel as she nears her 18th birthday and embarks on a journey of curiosity and destiny, helped along the way by a most-wanted rapscallion named Flynn Rider, a band of drunken thugs, and even an accomplished guard horse named Maximus (brought to life on stage by a one-man costumed puppeteer). Many of the songs from the film are performed throughout, including “When Will My Life Begin,” “Mother Knows Best,” “I’ve Got a Dream,” and the Grammy Award–winning “I See the Light.” However, in order to move the story along, the songs are complemented by three new numbers created by Academy Award–winning composer Alan Menken and Grammy Award–winning lyricist Glenn Slater. Stealing the show, arguably, are the effects incorporated into the telling of this fairy tale — a feat all the more remarkable when one considers the limitations, constraints, and challenges of putting on a production like this at sea. For example, in action-packed scenes such as Rapunzel and Flynn escaping the heights of her tower and then the depths of a booby-trapped cavern flood, state-of-the-art front and rear projection was used to enhanced the already-elaborate set designs. 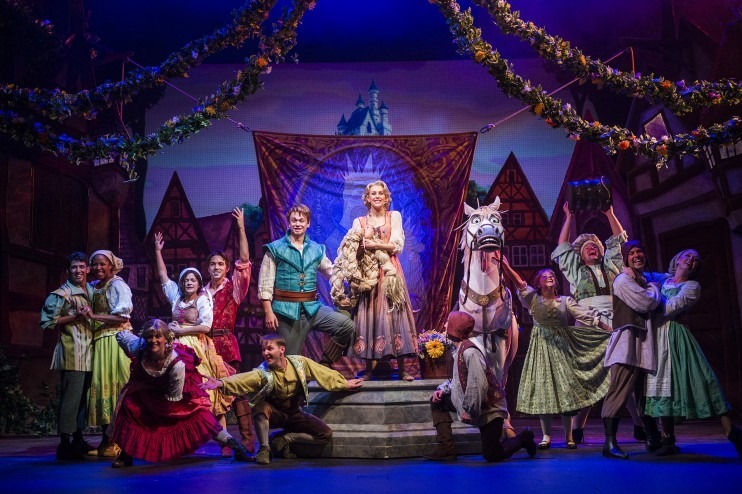 “Tangled: The Musical” joins “Twice Charmed: An Original Twist on the Cinderella Story” and “Disney Dreams… An Enchanted Classic,” which features a new segment from the blockbuster animated hit Frozen. Fun Fact: Rapunzel’s hair comes in at approximately 93 feet at its longest!